Use environmental logos to tell your sustainability story. Request to download art files and usage instructions by clicking on the logos below. Once you complete the form you will receive an access key via email. After you input the access key you can click on any logo and the files will download for you automatically. 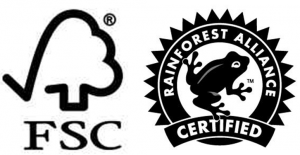 Monadnock Paper Mills is Forest Stewardship Council (FSC) Certified by the Rainforest Alliance. 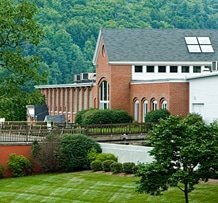 All Monadnock printing and packaging papers meet FSC standards and bear the FSC logo. Technical/specialty paper grades may be manufactured to FSC standards upon request. This is a chain-of-custody certification. All parties in the supply chain taking legal ownership of the product must be certified in order for the finished product to bear this logo. Visit www.fsc.org for more information. Click here for more information on using FSC logos.